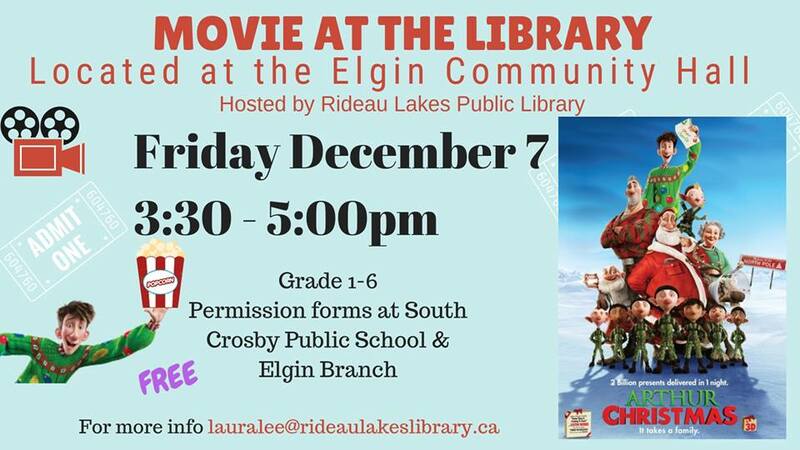 Rideau Lakes Public Library presents “Movie, Arthur Christmas”! The Rideau Lake Public Library is pleased to a movie afternoon for kids at the Elgin Municipal Complex right beside the library. South Crosby PS students grades 1 to 6 can get permission forms at the school. Admission is free and popcorn will be provided with other snacks available for a small cost. Bring your own chair to be comfy.